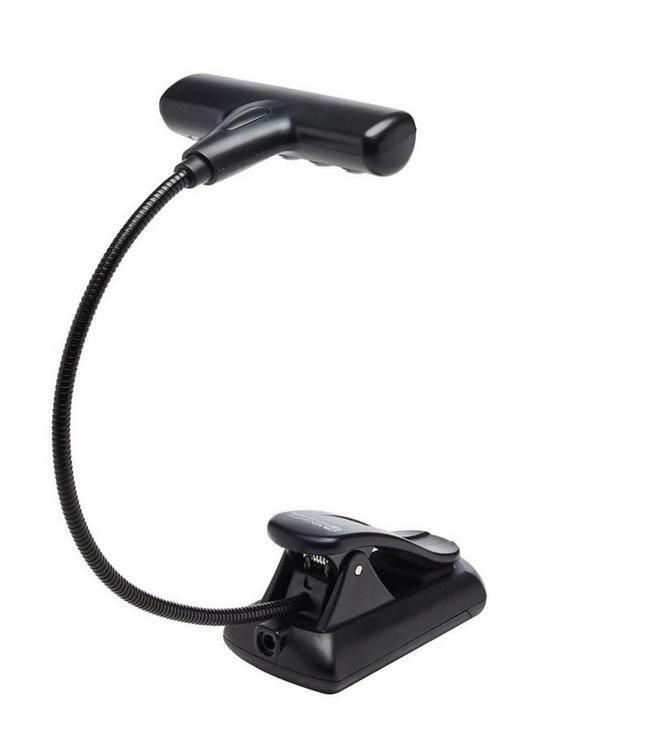 The Mighty Bright HammerHead Music Stand Light provides bright white light through six powerful LEDs rated for 100,000 hours, providing up to 28 lumens of illumination. With two brightness settings and an adjustable neck, The HammerHead provides comfort and flexibility to accommodate a variety of lighting needs. The extra wide and sturdy clip creates a strong grip on multiple surfaces. Powered by 3 AAA batteries (included) with a battery life of 15 hours, or by AC adapter (sold separately).